While most patients that undergo weight-loss surgery experience very favorable results, there are lots of variables which could affect the overall success of an individual patient’s process and follow up treatment. Here are some important factors to consider as you attempt to ascertain whether weight loss surgery is right for you. Generally speaking, the higher a patient’s pre-surgery weight or BMI, the more excess weight the individual can lose after surgery. Nevertheless, recipients of weight-loss surgery with less excessive body weight will eventually come closer to their ideal weight when devoted to long-term diet and exercise. Additionally, resolution or improvement in obesity-associated diseases can occur with even moderate levels of weight. Generally many ailments can be treated with earlier intervention at a lower weight. While preexisting health conditions can affect the overall success of weight-loss surgery (for instance, patients with type 2 Diabetes usually lose less excessive body weight after surgery), studies show that lots of ailments linked to obesity are either improved upon or drop into remission after a successful procedure. For example, a 2000 study performed on 500 weight loss surgery patients revealed that almost 96% of health conditions related to obesity – such as high blood pressure, depression, sleep apnea, back pain and diabetes – improved considerably following loss of extra weight and long term dedication to diet and exercise. As there are potential risks and complications associated with any surgical procedure, interested patients must always seek trusted medical staff to perform their weight-loss surgery. Prospective patients should inquire about their surgeon’s achievements with weight-loss surgery and listen to the experiences of former patients. Additionally, a patient’s weight loss success might also be affected by the grade of post-surgery care and counseling provided by their bariatric outpatient facility. As diet and exercise are a couple of the most important variables in virtually any weight loss plan, patients with the physical ability to exercise after weight-loss surgery have increased chances of meeting their goals. To maintain the weight loss achieved by surgery, both exercise and healthful eating habits must become integral parts of a patient’s lifestyle. 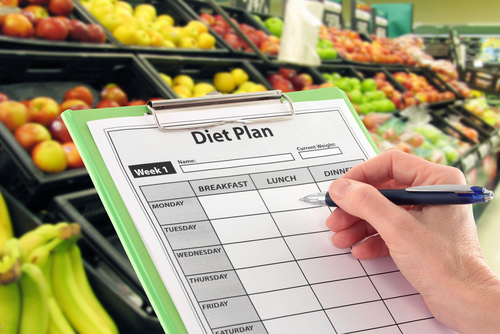 The capability to remain devoted to suggested dietary guidelines, exercise regimens and any follow up care recommended by the bariatric outpatient facility is essential for both short term weight loss and long-term weight management. Patients that are motivated to lose weight and willing to follow through with diet and exercise prior to receiving weight loss surgery may experience greater degrees of success promptly following the procedure and in the long run. Most people did not find themselves seriously fat instantly. It took years to reach that weight and thus patients should be patient with the weight-loss procedure, which will also not happen immediately. Successful patients reach small goals and successes along the way keeping them inspired. As weight-loss surgery will need some time away from everyday tasks, it’s important to get the support of family, friends as well as coworkers before undergoing any surgical procedure. Moreover, as the ongoing weight-loss process following bariatric surgery may require a specific level of emotional support, future patients may want to create a support network – including friends as well as family members that could join in on exercise and healthy eating. Considering that major weight loss cannot only remedy many health concerns, in addition it can improve an individual’s quality of life. The possible advantages of weight-loss surgery are plentiful. For severely overweight individuals that are not able to reduce weight via diet and exercise alone, weight-loss surgery is the best approach to losing weight – and keeping the weight off.